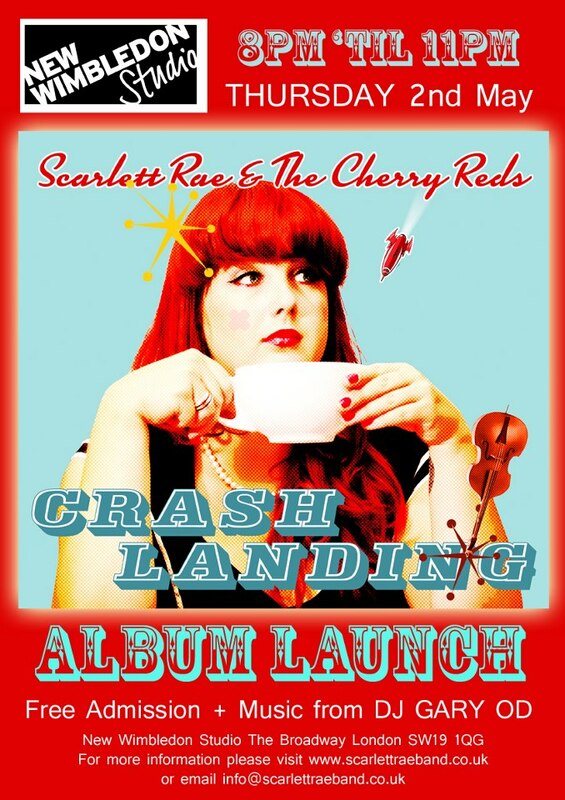 LJ stalwarts Andee Price & Chris Wong are launching their debut album tonight as Scarlett Rae & The Cherry Reds. The band are celebrating the release of their album ‘Crash Landing’. Joined by special guests and DJ Gary O.D. the band will be playing music from the album and some kooky covers in their unique style; a fusion of rockabilly, blues and jazz. The album will be available to purchase on the night as a CD or USB flashdrive. Free admssion and licenced bar. In fact, pretty much all of the Love Junkies members and All-Stars will be in attendance. It’s gonna be quite some party and we wish Andee aka Scarlett and the band every success. Posted in The Love Junkies and tagged as album launch, party gig, scarlett rae. I put my USB copy of the album into my SoundBar and it just started playing the title track 'Crash Landing'. Isn't tech amazing. Maybe I'll buy all my albums this way from now on… miss the gatefold double album artwork though.